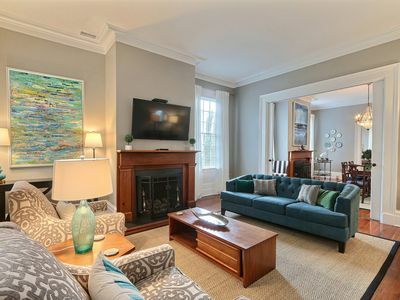 Have you been seeking a charming Savannah vacation home with modern amenities, classic touches and incomparable access to the bustle of the Savannah GA Historic District? 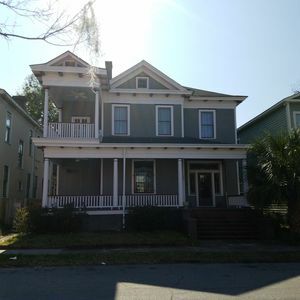 in Carly`s Retreat, you can truly have it all: one-stop access to all that Savannah downtown has to offer, beautiful views of this history-rich city and enviable amenities that will have your guests wondering how they can find such stunning Savannah vacation rentals for their next visit to coastal Georgia. 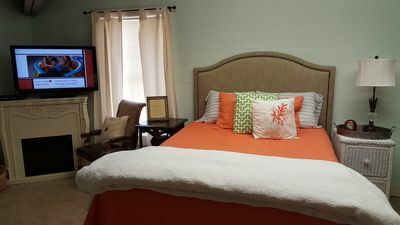 Carly`s Retreat isn't just another pretty face. 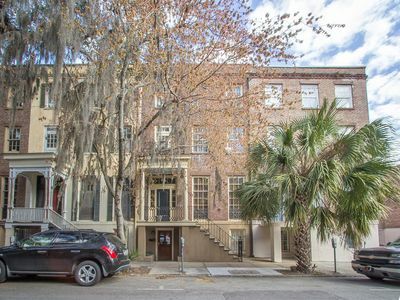 This just-renovated property sits in the heart of old Savannah and boasts close proximity to some of the city's finest historical assets. 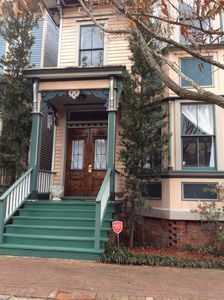 For a look back in time, visit the Davenport House Museum or walk amid the majestic live oaks of Chatham Square. If you're into the arts, visit the campus of Savannah College of Art and Design to discover the cutting-edge work of its young visionaries. For a look at the refined side of Savannah's art scene, don't miss the Julia Christian Gallery and Telfair Museum. 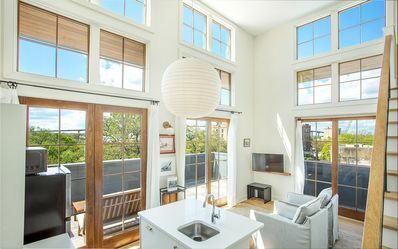 Few other Savannah vacation rentals offer walking-distance access to all of these incredible institutions. Once you've spent an afternoon plying the streets for bargains, retreat to one of the neighborhood's fine dining establishments. 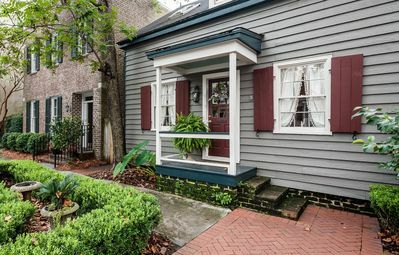 Whether you're in the mood for authentic southern cooking at Mrs. Wilkes' Dining Room or prefer a splash of the old world at the Olde Pink House, you're within easy reach of Savannah downtown's top-rated establishments. For a new take on old Italian favorites, check out Leoci's Trattoria. For an innovative look at classic American cuisine, Local 11 Ten might be more your speed. The possibilities here are endless. 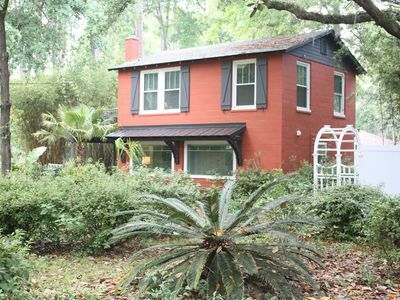 Of course, staying at one of the most beautiful, convenient Savannah vacation rentals requires some attention to the rental itself. At Carly's Retreat, you might just have trouble disengaging yourself from the stunning amenities at your fingertips. 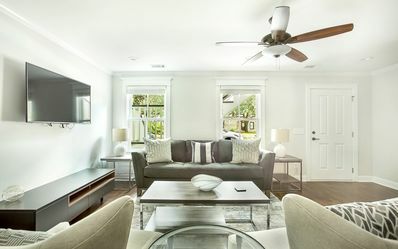 With two spacious bedrooms, a convertible sunroom, and 2.5 bathrooms, Carly`s Retreat comfortably sleeps six and leaves plenty of room for informal gatherings, tea hours and other social events. 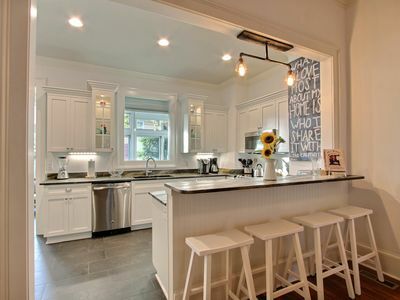 One of the home's clear selling points is a recently updated kitchen that rivals similar spaces in Savannah's finest mansions. 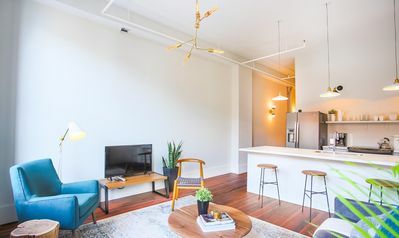 With stunning granite counter tops, modern appliances, and top of the line cookware that allow you to cook wonderful meals for the entire family, you'll have trouble leaving this space. 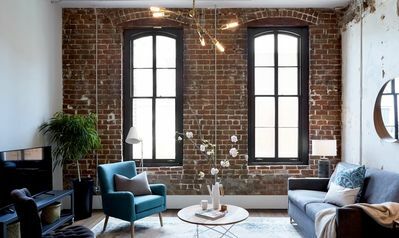 Once you do, you'll discover a charming house that's effortlessly modern yet historically faithful. 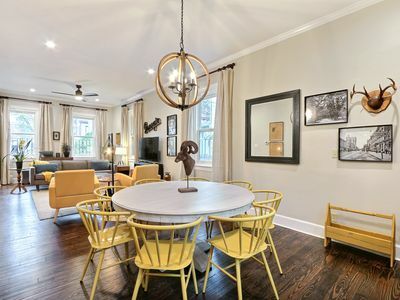 Rustic wooden doors and farmhouse-style furnishings lend an air of authenticity that's hard to find in modern Savannah rentals, and a spacious seating area with plenty of natural light and ornate light fixtures is sure to spur conversation. 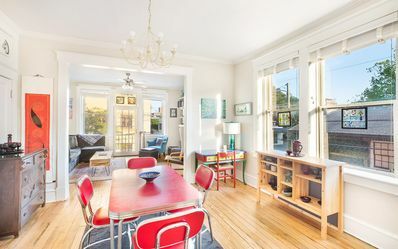 A handsome dining area easily seats eight, and a spacious breakfast bar boasts stool space for four more. 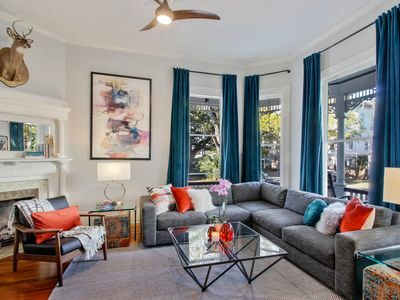 Beyond the kitchen, a stunning living room features leather couches, hanging paintings and a flatscreen SMART TV that's sure to keep the family entertained. 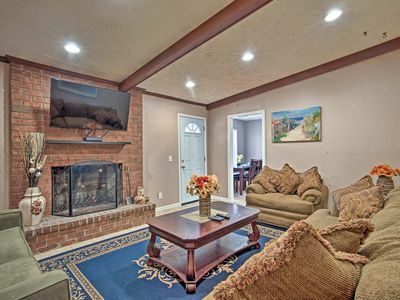 A decorative fireplace provides added charm that's sorely lacking in other Savannah vacation rentals. When it's time to turn in for the night, the spacious master bedroom features a king bed and colonial touches that will make you. 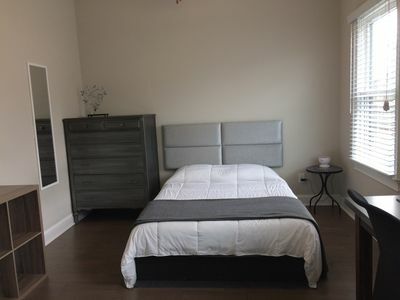 SUPER LUXURIOUS STUDIO LESS THAN HOTEL, $99-$129 SLEEPS 3 FORSYTH PARK!! Holly's Cottage. Circa 1867 Historic home. 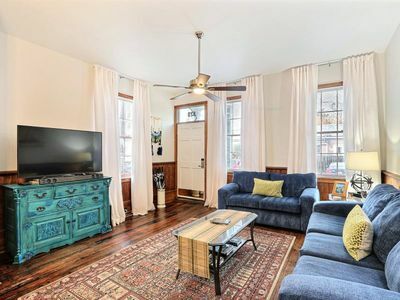 3 blocks from Forsyth Park. 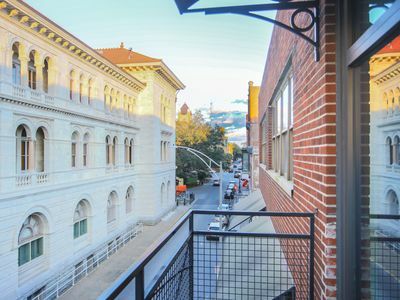 Stay with Lucky Savannah: Explore the Design District, Private Balcony! 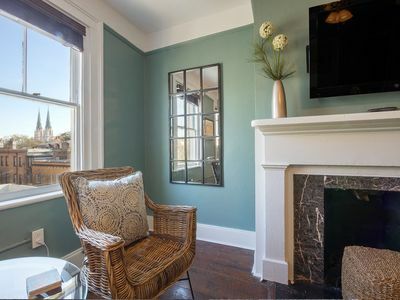 Stay with Lucky Savannah: Street-level apartment w/ kitchen, walk everywhere! 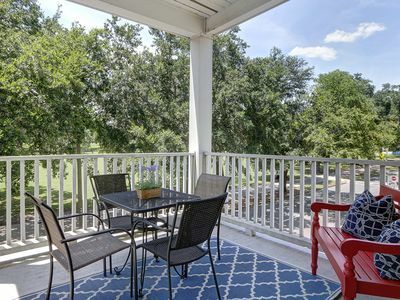 Gorgeous New Home With Amazing View of Forsyth Park!